S C R A P M A S T E R: Scrappy New Year to you! Scrappy New Year to you! Just popping in to say hello and Happy New Year! On to 2019 with the high hopes of diminishing my stash. I have found that I am easily distracted so I won't make any predictions of what I want to accomplish over the next year. I guess I will just go with the flow. 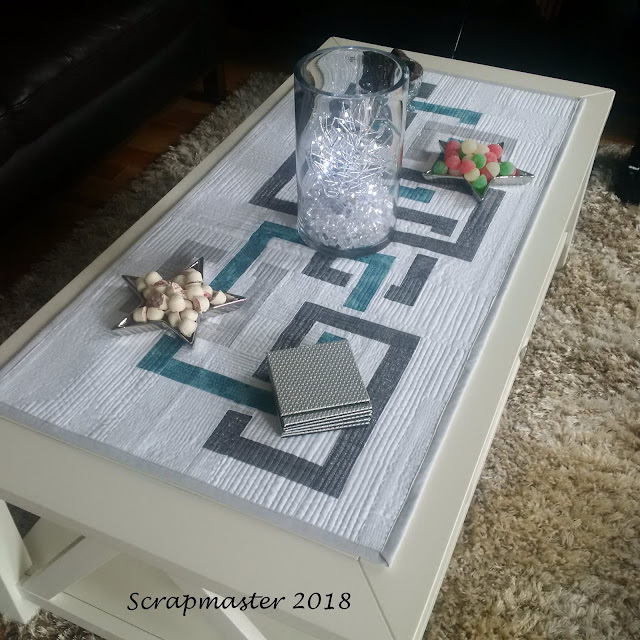 I want to show you a fun little table runner that I made for my brother and his wife to use on their coffee table. 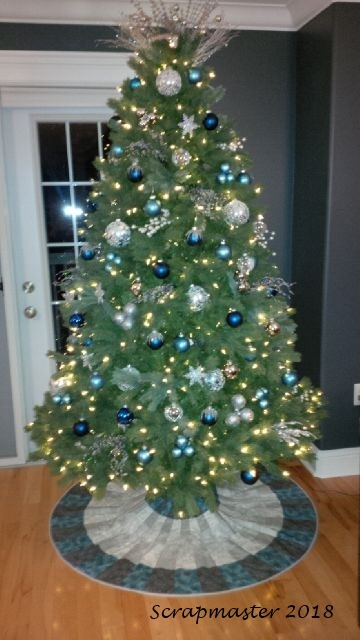 At Christmas, they decorate all in blue and silver so I wanted to make sure the fabrics fit well with their theme. 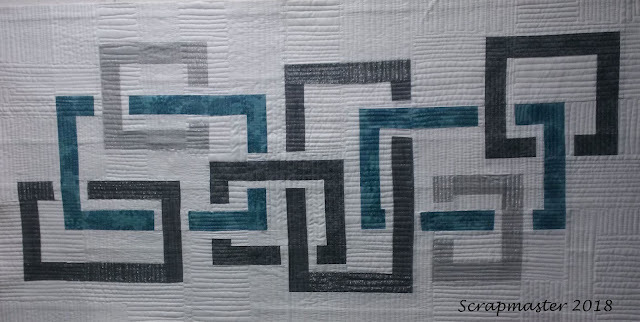 The pattern is called "Chain Linx" and was designed by my sweet pattern designing friend, Karen of Sugar Free Quilts. It will soon be up for sale but for the time being she is still working on making more options for using the pattern. It is traditionally pieced. It measures 20" x 40". 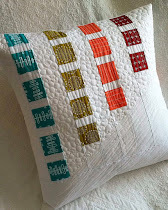 I free motion quilted it using Aurifil 50# in white. I made the runner from the scraps of the tree skirt that I made for them last Christmas. I need to get a better pic of the skirt and I didn't write down any of the details for how I made it. I remember that one of the fabrics, the darker grey metallic one is a Robert Kaufman and the background is Kona white. Maybe that is something I should work on in 2019....write stuff down!! 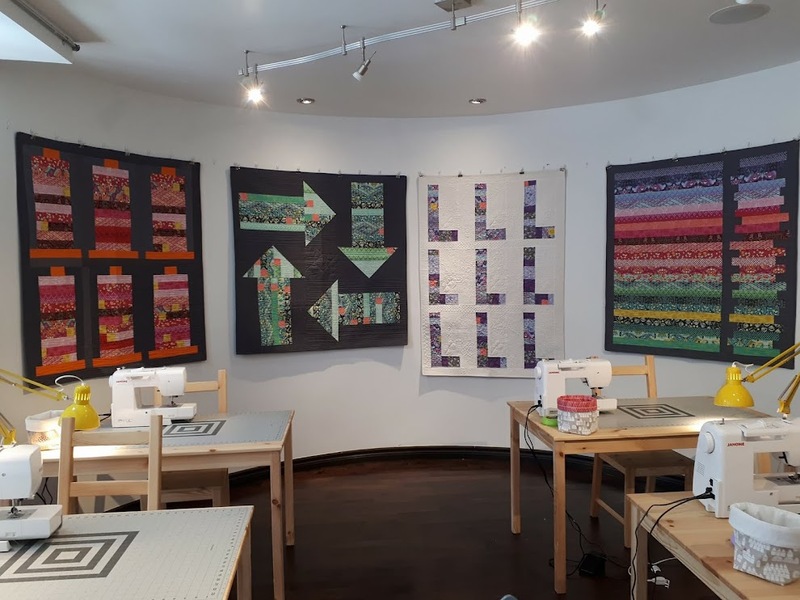 Lovely table runner and nice that Karen is writing the pattern. Wishing you all the best for 2019 Linda. Wow! It’s beautiful, and I bet together with the skirt, an eloquent pair. Maybe you should get a little notebook to write things down in ~grin~ Happy New Year, sweet friend! Love the table runner. Very modern looking! Hope to see you next year. I love the runner too. Beautiful runner, Linda - very elegant! Happy New Year to you!